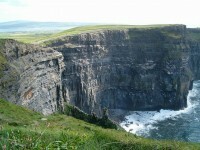 County Clare is probably the most touristy county in Ireland, and why shouldn’t it be? Co Clare is blessed with some of the most stunning natural sights on the Emerald Isle, and it justly deserves all the attention it gets. Besides the countless attractions, a great thing about Co Clare is that the tourist infrastructure is one of the best in Ireland. Even the smallest village will have good transport connections, several accommodation options, and no shortage of pubs and restaurants where you can sample the local cuisine and beverages. Simply put, if you are a tourist, Co Clare will be like your second home on the road. And even if not a single amenity existed in all of Clare, the many attractions would still be enough to convince anyone to visit. Here are some of the things to see in County Clare, one of the prettiest counties in Ireland. Craggaunowen is an archaeological complex turned into a great open-air museum, established by famous Irish antiquarian and collector John Hunt. The museum features a scenic lake and woodlands, and several historical dwellings like crannogs, ring forts, Fulachta Fia (Bronze Age dwellings) as well as dolmens. One of the most interesting exhibits is the the Brendan, a replica of the boat supposedly used by St Brendan to sail from Ireland to Newfoundland. 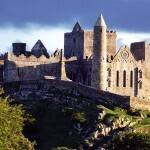 Bunratty is one of the most interesting restored medieval castles in Ireland, and it dates back to the 15th century. 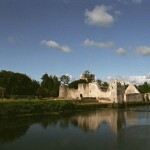 The castle was built by the Earl of Thomond, famous for his banquets. 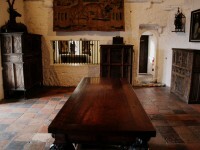 Monthly medieval banquets complete with music and dance are still held at the castle. the castle grounds recreate life in the castle in the 19th century, complete with scents and sounds! The Cliffs of Moher are quite possibly one of the most unforgettable natural sights in Ireland, and together with the Burren they form the most unique portion of Co Clare. Drive through the desolate Burren until you arrive to the majestic Cliffs of Moher overlooking the restless waters of the Atlantic. The Cliffs have a very informative visitor center where you can learn about the place’s history. 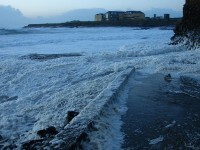 Ireland has plenty of seaside towns and resorts, but in Co Clare Lahinch is the most important one. Although the town is chiefly known for its surfing spots, even if you are not planning on touching a surfing board you will still find plenty to do in town (although if you do want to learn to surf, there are quite a few schools around). Lahinch is pleasant and lively, and despite a lack of traditional sights, it is a great place for a few days of relaxation. Spanish Point village has one one of the most memorable beaches in Ireland (as well as some incredible surf breaks), and several holiday homes that are always busy in summer. Those who like golfing will want to check out the nine hole gold course that is one of the oldest in Ireland (over a century old).